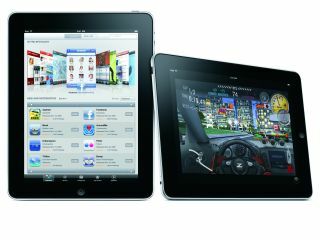 If you are considering getting an iPad later this month, then you will be glad to hear that Apple is offering customers a 'personalised setup service' to make sure you are fully familiarised with your new toy before you've even walked out of your local Apple Store. It is a really good reason why you should make the effort to get out of the house and actually go to a real world store when you buy your iPad! Apple employees will show iPad customers how to set up their email, download apps from the App Store and also "host special iPad workshops to help customers learn more about this magical new product"
Early adopters will most likely not bother with getting one of Apple's so-called 'Geniuses' to give them a walkthrough of the iPad, seeing as they are likely to want to get their new toy home as soon as possible to start playing around with it themselves. Plus, early adopters are, by definition, tech geeks and don't really need to be shown how to set up their email account. But once your dad or your techno-phobic elderly relatives start buying the thing later next year, it will at least give you an excuse to not spend the best part of a weekend tearing your hair out while you try to teach them how to use it.